White sequin lace over white spandex leotard with adjustable straps. 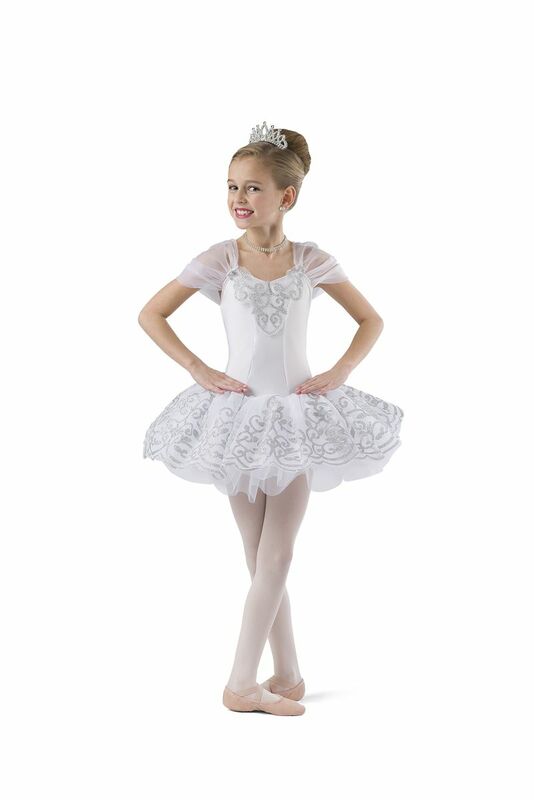 Attached white tulle euro tutu. Appliqué, bow, and ribbon trim. Made in the USA / Imported. 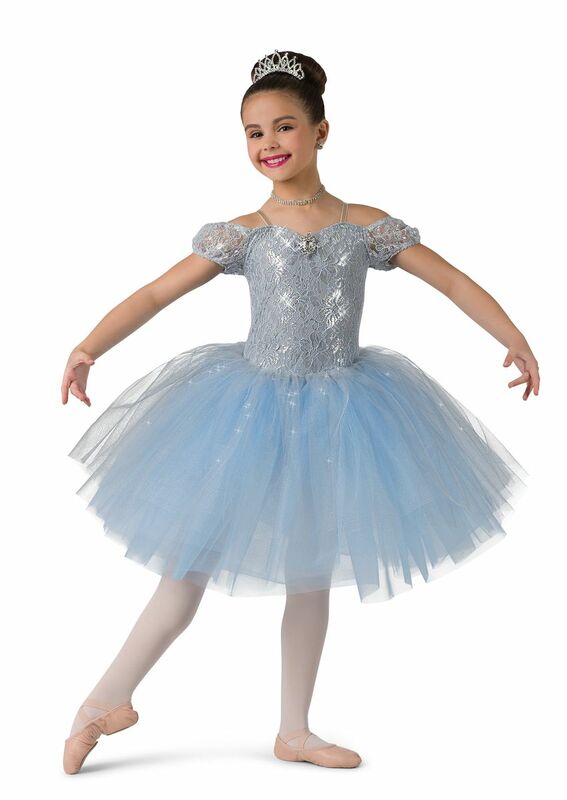 Costume Gallery is a leader in providing dance costumes and accessories to studio owners, teachers and coaches. 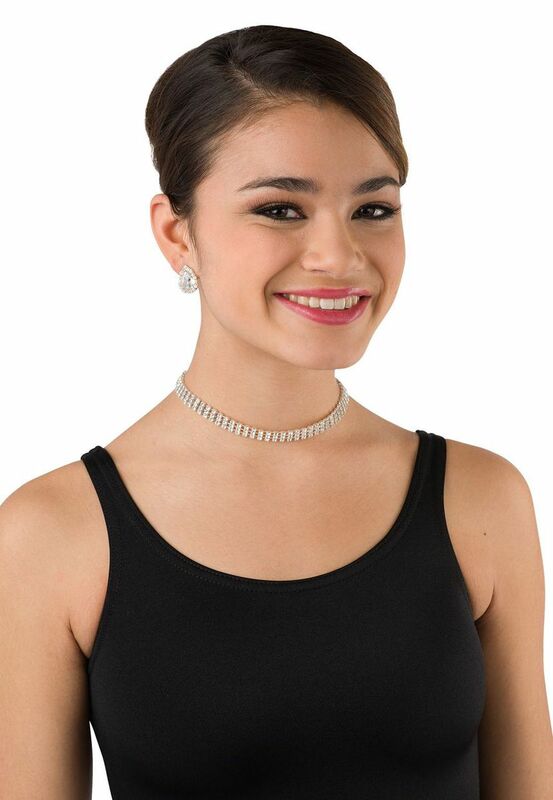 We strive to provide more than product; we provide peace of mind by offering more fresh designs every year than any other manufacturer, speedy delivery, and numerous accessories to complete any look. 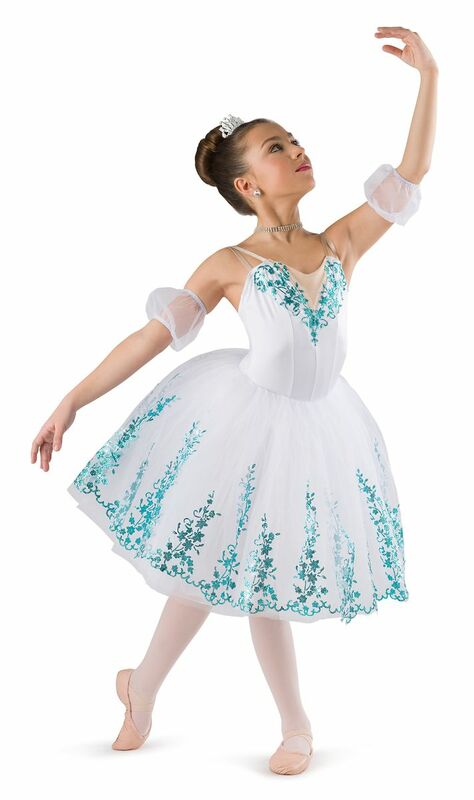 From ballet costumes, tap & jazz, to hip hop, we feature colorful dance recital and competition costumes that inspire and perform since 1959. Every product is handmade from the highest quality materials, comes packaged ready to share, has a consistent fit, is age appropriate and flatters most body types.